Rather than wait until employees leave to realize there are issues - companies should interview current employees on their relationship with the company and what possible workplace issues should be addressed. So they STAY. 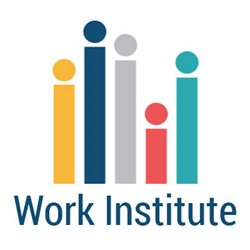 Work Institute specializes in workforce solutions for companies of all sizes. "Summer is over and engagement studies are pulling in employee data that identifies problem areas within the company. Stay Interviews are the best way to uncover employee expectations and intent to stay." Work Institute, a leader in employee engagement, retention and consulting, announced today that they have deemed the month of September to be Stay Interview Month. Work Institute is encouraging businesses to make Stay Interviews an essential part of a successful talent management strategy and is giving away a Stay Interview Guide for the entire month of September. Work Institute’s Stay Interview guide gives companies all the tips needed for a solid foundation to implement stay interviews, including: What a stay interview really is and why it is important, how the intent behind the stay interview drives the approach for the process, how to determine if conducting stay interviews internally or outsourcing them to a third party makes sense for your organization and how to understand the data to make improvements. September is the ideal month to measure the robustness of an organization's talent management process. Celebrate Stay Interview month by clicking here for the Essential Guide to Stay Interviews. About Work Institute: Work Institute is a leader in employee engagement, retention and human resource consulting that helps companies attract, hire and retain talent, improve performance, diminish risk and manage human capital cost. With its commitment to meeting clients where they are, matching research and analysis to the client’s needs, and asking the right questions, Work Institute gives your organization the power to improve overall satisfaction, reduce cost, and promote growth. best practices, tips and tricks for implementing stay interviews into your employee feedback program.